Siargao Island – home of the famous surfing spot Cloud 9 – considered to be the Top 8 wave on the planet with its perfect hollow tubes and easy accessibility. Cloud 9 and the early resorts on Siargao, both have helped to shape the island into what it is today – the Surf Capital of the Philippines and one of the most relaxing islands you can imagine – but not only for surfers! There are plenty of other world-class waves waiting to be surfed, such as Stimpy’s, Rock Island or Pacifico – all super long waves that produce amazing barrels left and right. Siargao isn’t all just about the surf. The beaches here are breathtaking and many tiny islands surround Siargao, like Daku Island or the famous Naked Island, which literally consists of nothing but sand. Snorkeling is a must-do around those islands. Another must see is the unique and beautiful Magpupungko Pool in Pilar. You can relax on the beaches and rock pools; explore the widespread mangrove reserves and inland forest, discovering hidden magical Lagoons and caves. Daily direct flights from Manila to Siargao from ₱3,277 – Book now! 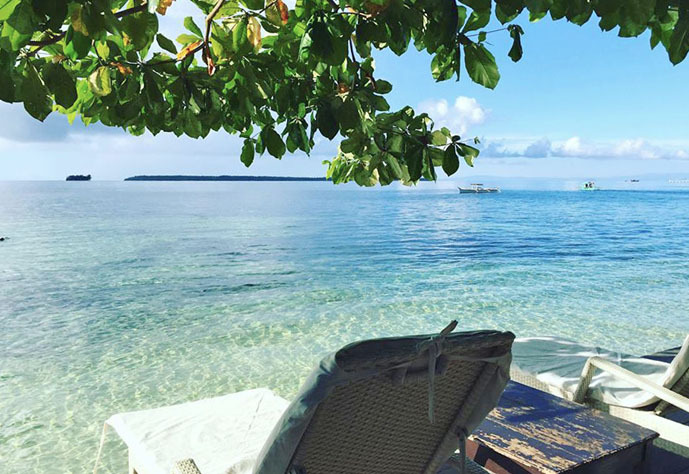 When the question arises of Where To Stay on Siargao, we are helping you to find the perfect place with a list of Accommodations for every budget. 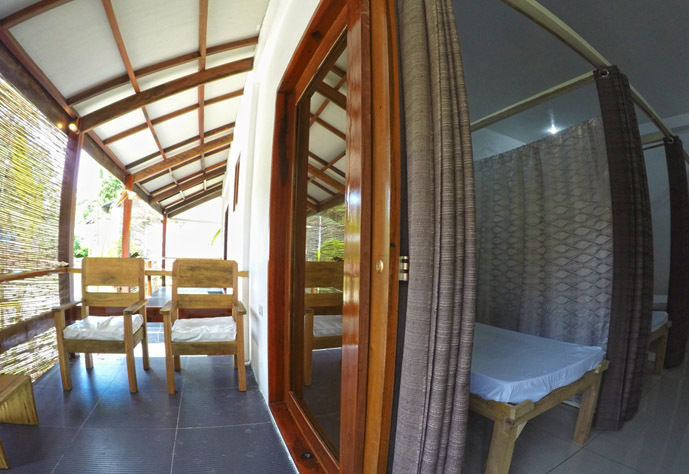 From air-conditioned resorts and villas, to relaxing filipino style bungalows and shared rooms in hostels. Most locations will offer discounts for longer stays, so don’t hesitate to send an email and ask for an offer. 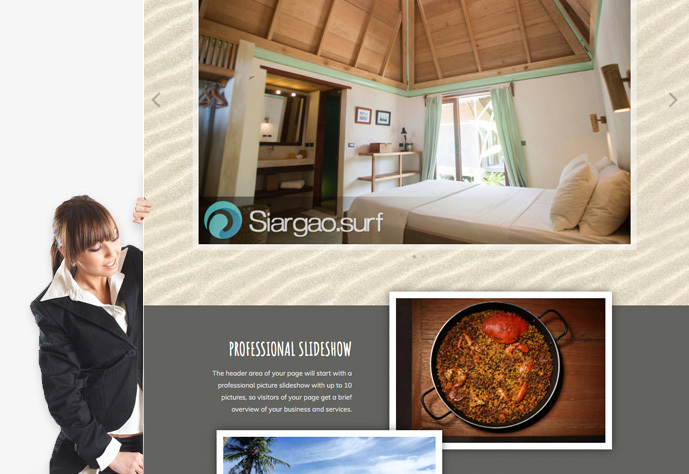 In our category Where To Eat we present some of the most interesting locations to dine on Siargao. Most travelers wouldn’t expect it, but because of Siargao’s multinational business owners, you will find a big variety of Restaurants with quality cuisine. Since most of the ingredients the Restaurants use for cooking are grown on Siargao or other parts of the region, you will be amazed of the fresh taste of the food here. We offer rental boards in the best condition on the island, all major brands of surfboard wax, clothing, sunglasses and of course brand-new boards for the lowest prices on the island. Stop by and see what else we have to offer to get you ready for Siargao’s epic waves! Present your business to travelers that plan a trip to Siargao or are already on the island, looking for places to stay and things to do. Our website, previously ExploreSiargao.com, grew to be one of the best tools to get information about the island online. We offer a full page for your business on our website, which also can be used as business website.